The UN Special Coordinator for the Middle East Peace Process, Nikolay Mladenov, stated that Gaza is currently facing a real catastrophe, pointing out that the possibility of establishing an independent Palestinian state have dwindled. Al Ray reports that the coordinator renewed his rejection to Israel’s expansion of illegal settlements in the occupied Palestinian territories. This comes during an International Security Council’s session on Tuesday, in the Council’s headquarters in New York, USA, on the situation in the Middle East, including the Question of Palestine. “As 2019 begins, we should have no illusions about the dangerous dynamics of the Israeli-Palestinian conflict, which continue to unfold before our eyes,” Mladenov said. He pointed out that the situation in the Gaza Strip is still disastrous, and is witnessing a huge economic contraction, especially under the Israeli occupation and decreased support by donors. He said that the demolition and seizure of Palestinian-owned structures continued across the West Bank, including East Jerusalem, with 25 structures seized or demolished for lack of Israeli-issued building permits, noting that the documents are nearly impossible for Palestinians to obtain. As a result, 32 people have been displaced, he added. 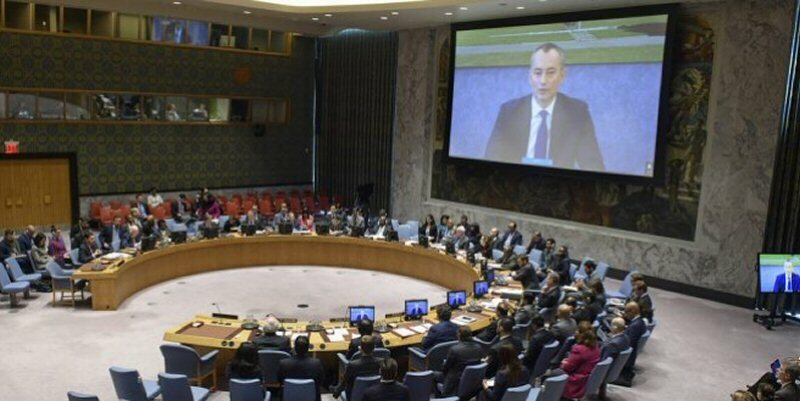 The possibility of establishing a “viable, contiguous Palestinian state” has been “systematically eroded by facts on the ground,” Mladenov said before the Council.